Soli is known as the traditional place where St Mark received baptism and St Auxibius, a Roman who fled the city in the 1st century, was its first bishop. 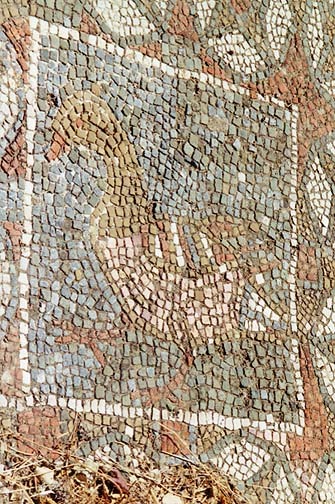 Soli Basilica was one of the earliest of its kind in Cyprus featuring its own individual characteristics. The first church of Soli is thought to have been built in the second half of the 4th century. This was a three aisled building of approximately 200m length. 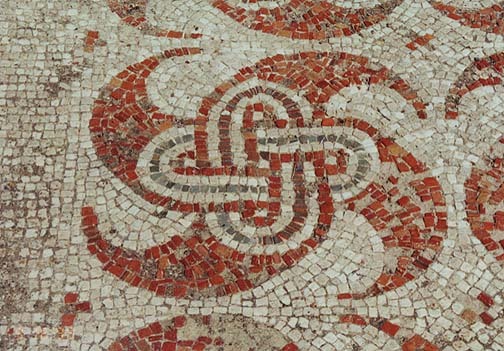 The most important part of the basilica of Soli is its mosaics. A large part of these have survived to the present day. 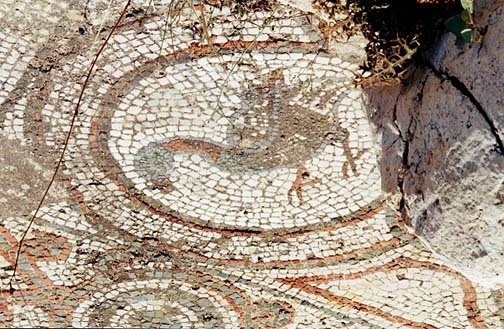 As is the case with the other churches of Cyprus , originally the mosaics were of geometric design . 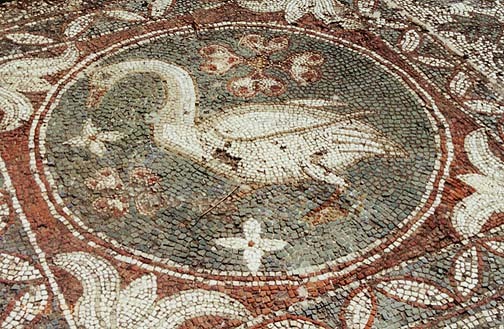 Gradually, animals and later opus sectile decoration pavements made from small colored stone tiles A goose like swan surrounded with floral and four small dolphins in the floor of the nave catch one's attention. 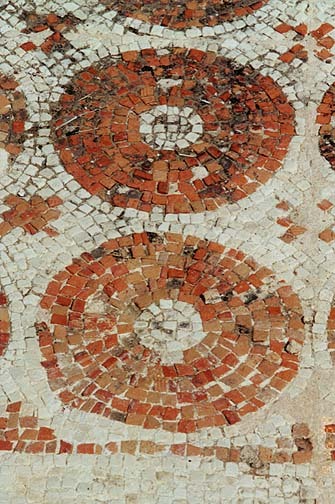 The Greek inscription in mosaic set in the apse reads: "Christ save those who gave this mosaic".